In these 6 lessons, Andrew shows the key principles and concepts that will set him on a path to financial success. Paz Financiera is a 6-lesson course taught by Andrés Gutiérrez in videos. In these classes, you will learn principles of how to handle money, create wealth, shake off debts, how to make a budget that works – the same principles that have transformed Andres’s life. In these classes that will be great fun for you, Andrés will help you to make your money and how to behave to grow your wealth. Get ready to change your future, and your family’s, forever! Super Savings : Learn The 7 Steps that will guide you toward Financial Peace and the three key reasons for savings. Relating to Money : Stop fighting like dogs and cats over money! Singles will learn about the importance of accountability and for parents; how to teach their children about money. The Flow of Money : Discover the hidden gems of living on a budget that works. Shake off Debts : Breaking the myths of debts. 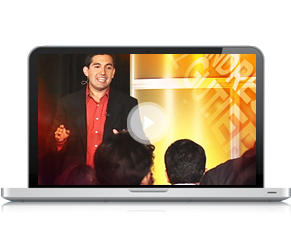 Andres shares a proven plan to unleash his income from the clutches of debt. Chupacabras in Ties : Stop the abuse of collectors. Learn about credit bureaus and their report. The Great Misunderstanding : Attention! Generosity is the exclamation mark for Financial Peace. It will be challenged!